Step into the Mushroom Kingdom and explore the world of Mario in full 3D with this beautiful classic game - Super Mario 64! 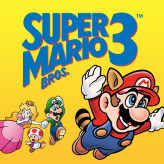 Released in 1996, the game was the first ever Mario game to utilize a 3D game world. In this game, Princess Peach has been taken custody once again by the giant evil turtle Bowser. 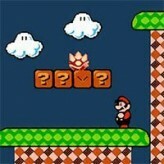 It's up to Mario to go on a quest to explore the castle and save the Princess! The game was very popular at the time and has left a long lasting impression on the game industry as a whole due to its 360 movement and dynamic camera system. 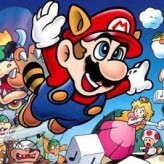 Super Mario 64 is an online N64 game that you can play at Emulator Online. This free Nintendo 64 game is the United States of America region version for the USA. 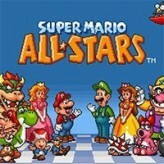 Super Mario 64 is a single title from the many platform games, arcade games and mario games offered for this console. 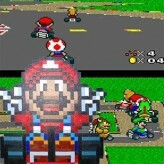 If you enjoyed playing this, then you can find similar games in the n64 games category. 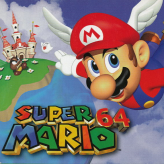 Super Mario 64 game is from the various retro games on the site, and there are more games like this, including Super Mario World, Mario Kart 64 and Super Smash Bros..